Virginia is rapidly becoming one of the best places on the east coast for mountain biking, and our staff knows all the hot spots! Let us show you on our 7 day specialty trip. Designed for bikers aged 14-17, this specialty trip is for the bold at heart. An introductory to intermediate level of experience in mountain biking is encouraged. Just like on all Wilderness Adventure trips, The 1 Week Mountain Bike Trip is a fully outdoor experience. You will camp in backpacking tents, cook backpacker style meals on Whisperlite stoves, and share the accomplishments of each day with your group and leaders by the fire each night. 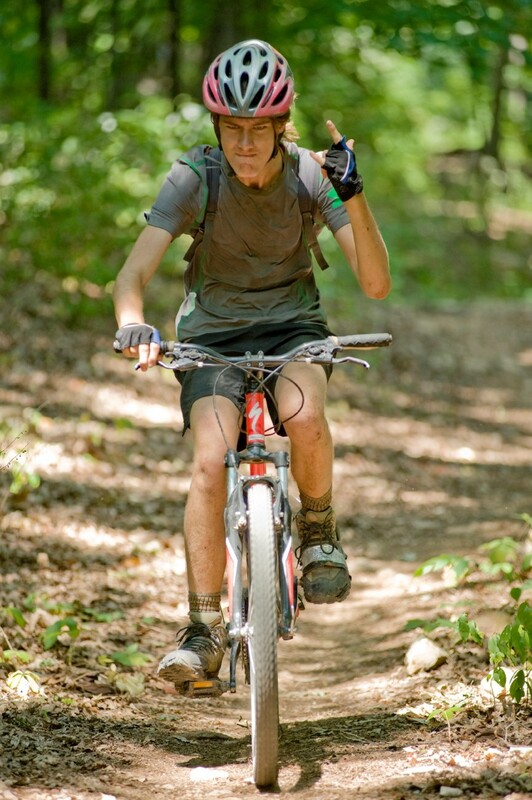 The One Week Mountain Bike trip will take you to the following premiere bike locations: Pandapas Pond, Carvins Cove, and other nearby trails. Not to mention you'll get to explore the awesome new single track right here on Base Camp! 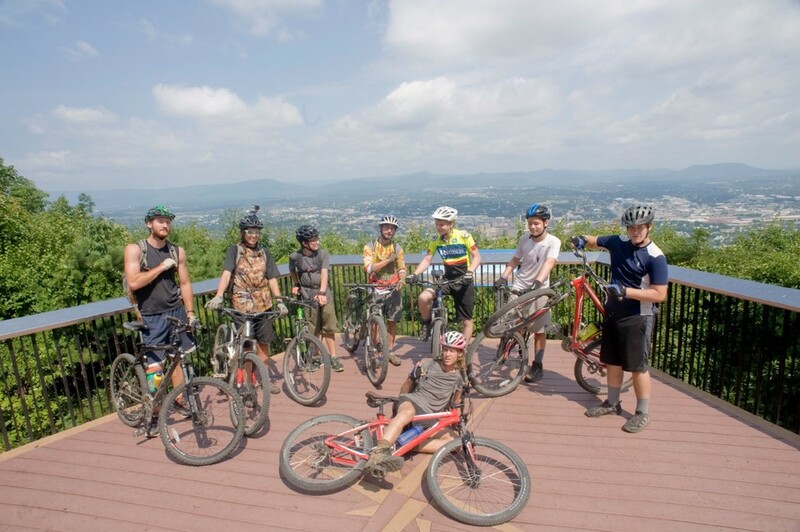 Mountain Biking is quickly becoming one of the most popular adventure sports in America, so get the confidence you need to bike on your own, all while riding on the best single track in southwest VA.
You will also get instruction on basic bike maintenance. Instruction can includes change/repair tubes, change and lube chains, adjustments of brakes and derailleurs. Of course you will still get to do the amazing 900' zip line and have the bonding experience with your group that only camping and bonfires provide. All gear needed for the trip is provided. We provide backpacks, sleeping bags, tents, cook gear, and more. You can check out our Packing List to see what you need to bring on the trip. For the mountain biking trip we also provide bikes, helmets, gloves, and water bottles. If you want to bring your own bike and helmet you are welcome to, but we highly recommend a bike that was not purchased from a department store.